The art of wire sculpture is centuries old and in Trinidad and Tobago this ancient practice is continued by a precious handful of masters. 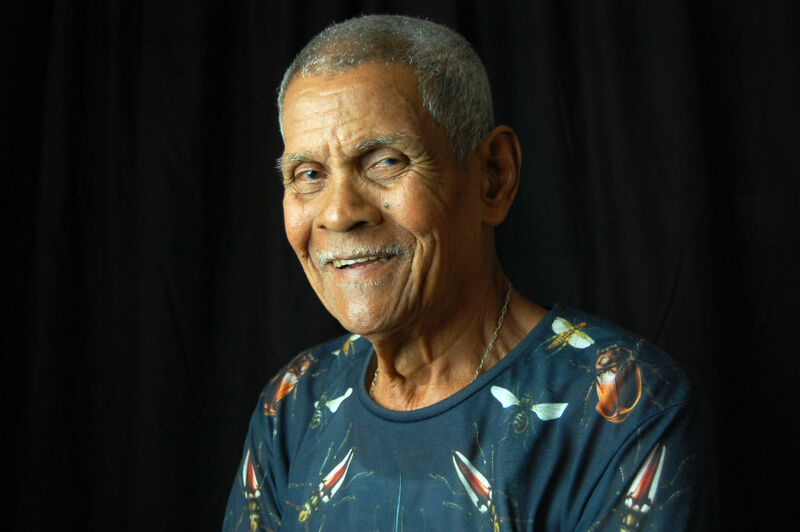 One of them is the indomitable Narcenio ‘Señor’ Gomez who has been wire bending, making and playing mas for the past 50 years. In Trinidad and Tobago, wire-bending was the foundation of mas-making for most of the 20th Century. The most successful mas designers have been or have had the support of skilled wire sculptors. Wire-bending to create moving mas sculpture is a labour-intensive process, requiring a high level of skill, focus and dedication. With the coming of plastic moulding, the art of wire-bending has declined in popularity and there are few masters of wire to be found working in mas camps these days. We’re so excited to have him as our Carnival Arts mentor for the 2015 Mentoring by the Masters programme. Have you signed up yet? Don’t miss this golden opportunity to learn from some of our leading creatives!